Ouija boards root from spiritualism. Many of the people who created them believe that they had magic powers that allowed them to talk to the dead. "In 1886, the New York Daily Tribune reported on a new talking board being used in Ohio" as stated by Erin McCarthy. These Ouija boards are the ones that we think of today when someone mentions a Ouija board. According to Erin McCarthy "These types of talking boards became very popular, and in 1890, Elijah Bond, Charles Kennard and William H.A. Maupin had the idea to turn the board into a toy. They filed the first patent for a game they called the Ouija board." The reason that these new boards were created was because the old boards took too long to get answers. People like Elijah Bond took the opportunity to take an idea like the Ouija board and make it huge also patenting it. 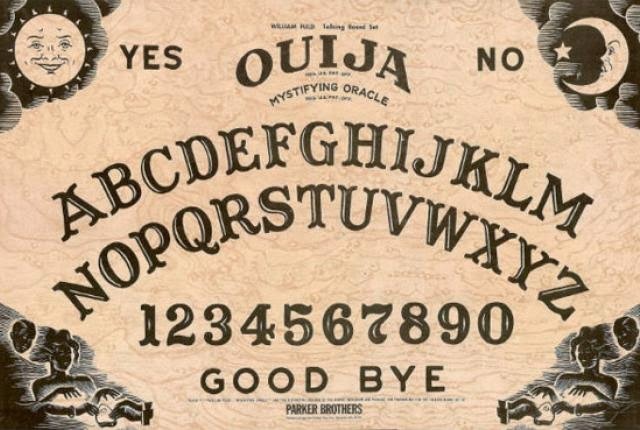 Many people believe that Ouija boards really do work if you are a true believer in spiritualism and witchcraft as well as the afterlife, but there are many people who do not believe in this. I say the only real way for anyone to know if these things work is to go out, have an open mind and try it if you have the courage. As a result, you will know for yourself if it works, but you must have an open mind to it or there is no point.